Welcome to your FOURth week of the challenge! You too can wear hip clothes and laugh at the sunset. Now that you’re three weeks into the challenge, you’re probably getting pretty good at making your meals at home, and maybe even making them in advance. Not only does meal prepping decrease the stress and time of cooking, it also gives you more precision when it comes to sticking to your goals. That said, most of us can’t and arguably shouldn’t be cooking and eating every single meal in our own homes. We have friends, family, and other people in our lives that we connect with over food. Food is not just fuel. Food can represent celebration, enjoyment, and comfort. What do you do when a friend texts you and asks you to eat dinner out? What if you’re going to a family gathering and you don’t know how much butter they put in those mashed potatoes? Say yes to the opportunity to connect, do your best, and get back on track the next day. It depends on your specific goals. 1. Is sticking to my nutrition plan the most important thing in my life right now? In this situation, you can definitely still eat out, but understand that you will need to be more disciplined in your approach. Stick to foods that are close to the ones you'd planned to eat. In the context of this challenge, that’s lean protein and veggies (good rule of thumb anyway). 2. How much of a difference is eating off-plan going to make? One reasonable meal, once a week, in the context of a well-controlled diet is probably not going to make much of a difference. Aside: I’ve actually seen people bring a food scale with them to a restaurant. No it wasn’t Phil Health during Olympia week. Now, depending on your specific situation, one really, really big meal, or a couple of meals off-track can actually wipe out the progress your fought tooth and nail for all week. Now ask yourself: is wiping out all of my hard work for the week worth the few moments of indulgence? The answer may actually be yes, and that’s okay. But that’s also your call. Do your best to estimate portion sizes (in general, overestimate). Stick to lean protein, fruits, veggies, and lower-fat food items. Look up published nutrition facts if a restaurant offers them. Enjoy yourself. Be honest about your intake. Move on. More than likely, your long-term success with nutrition is going to come with practicing skills like meal prepping, being mindful of what you’re eating most of the time, and tracking your daily intake. 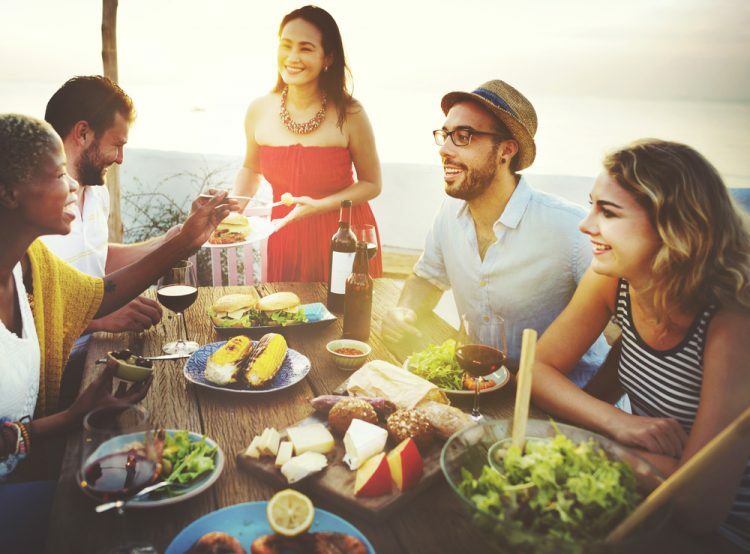 However, enjoying meals out and off-track with others is a part of long-term success, and can even be an opportunity to practice the habits you set in motion for your daily life. Now go laugh at a sunset! Here at GTS, we don’t want there to be any knowledge barriers between coaches and athletes. We could tell you to follow a certain diet or workout routine because “it’s good for you” and keep all the cards close to our chest. But the truth is, the more you understand why you’re doing something, the more likely you’re to keep doing it (or stop doing it). The total health challenge recommends that you eat lean protein and veggies for most of your meals for a reason. On average, protein and high-fiber vegetables make you feel more full than other foods, but they’re also essential for improving your body composition and health. Skeletal muscle growth and preservation depends on consuming enough protein. 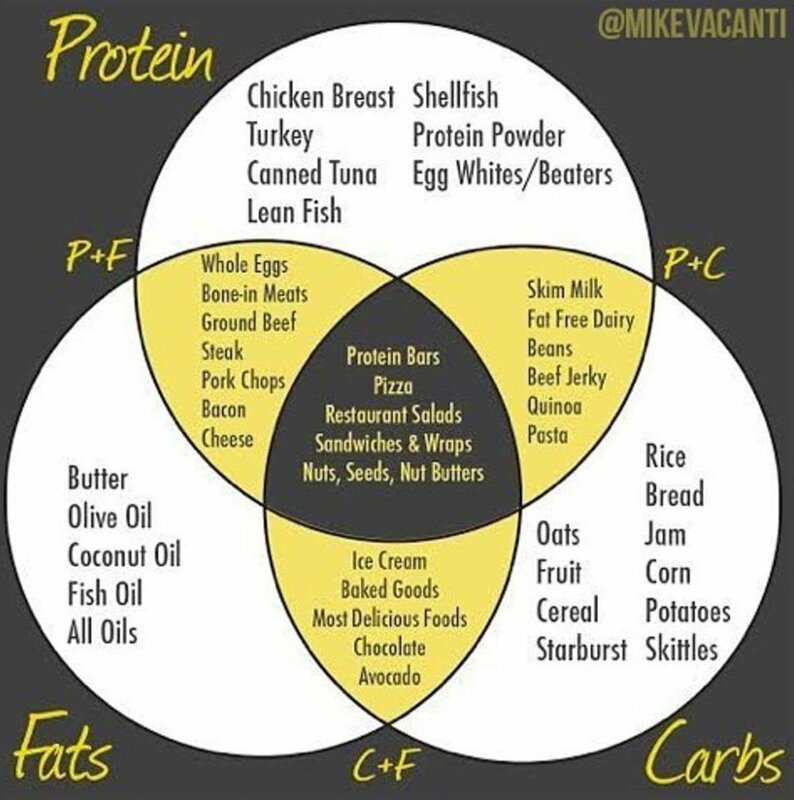 Protein quite literally serves as the building block for many important structures in the body and is the most important macronutrient for determining what your weight loss/weight gain actually looks like. But I don’t care about getting jacked. Why do I have to eat protein? Having adequate amounts of skeletal muscle isn’t just important for looking good or being strong. Greater lean body mass and protein intake is associated with decreased rates of diabetes, frailty, and age-related muscle loss, amongst many other disease states. I don’t like eating veggies. Do I have to eat them? What about whole grains? For reasons we don’t entirely know, the phytonutrients in fruits and vegetables, and the fiber in whole grains, have protective benefits for our health, including protection against heart disease and all-cause mortality. We’re not just in the business of weight loss. We’re in this to maximize your health. If you want to optimize your health and longevity, centering your nutrition around lean protein and vegetables is a great place to start. Should I care about where I’m getting my fats from? …except when it comes to trans-fats. Steer clear of those! Otherwise, the general recommendation is to get most of your fat from unsaturated fats (nuts, seeds, avocado, vegetable oils, fish) and to keep saturated fat intake to a minimum. Dietary fat serves many essential functions in your body. It helps with nutrient absorption, forms your cell membrane layer, and contributes to the production of important hormones. If you have any questions on dietary recommendations, or even if you just want to nerd out on some of the details, we encourage you to ask questions! The more you know, the better prepared you are to make decisions for yourself in real-time. I’ll be honest. I had no idea canned salmon existed until I spotted it hunting for canned tuna at the store. Canned salmon makes a tasty lunch-time alternative to tuna and chicken, and packs a lot of protein with very little fat. One can has roughly 30g of protein and 3g of fat, making it lean, portable, and convenient! Sriracha gives this salmon salad a nice kick and butter leaf lettuce makes it easy and filling to eat! This recipe uses light mayo, but Greek yogurt also works really well if you want some extra protein or you’re watching your fat intake. Image courtesy of Marueen C. Berry. She plates this much more nicely than I did.